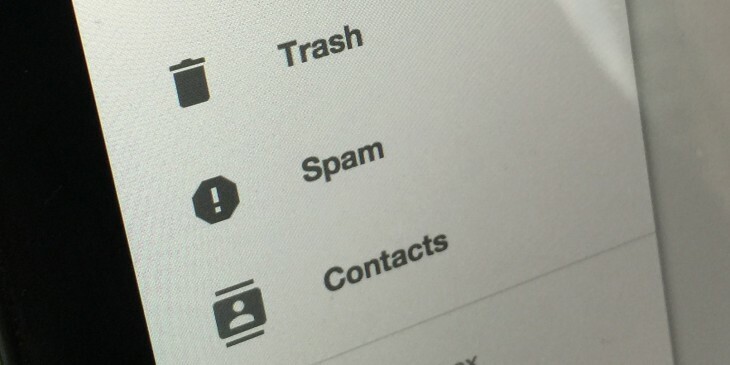 It’s no secret that we get a lot of pitches sent in by email here at The Next Web. We obviously don’t write about everything that’s sent to us, but quite often we don’t explain why we’re passing on coverage of a particular announcement. This silence on why we said ‘sorry, no’ or simply never replied at all, often frustrates the startups and PR companies that email us. We’d love to reply to everyone and explain why their pitch didn’t make the cut, but if we did that we’d have no time to actually write articles about the things that did make the cut. So, as a handy list for those who are wondering, here are some reasons why we often reject pitches. You might also find ‘How (not) to pitch me‘ a useful read. It’s a boring announcement: The chances are that few people care that you hired a little-known exec from a relatively well-known company (‘We hired Bob Madeupname from Google to run our sales operation!’ is a common pitch). Yes, it’s exciting for you and it’s a good opportunity to show your rivals how well you’re doing but it’s just not the kind of thing we write about. We don’t have time/capacity to cover it: While it’s shame to admit, it’s sometimes the case that we get an email about a cool app or some interesting news that we simply don’t have the ability to cover. Maybe half our team are covering events and the rest of them already have their plates full, maybe you timed your news to go out at the same time as a big Apple keynote or Google announcement and that takes up most of our attention for as long as your news is fresh. Maybe you just got unlucky with your timing and there were simply too many interesting things happening that day. In these situations I usually try to reply and let people know that we’d like to be kept up-to-date with future news, but that’s not always possible – especially on really busy days. It’s not quite an area we cover: In most cases, we don’t cover funding announcements. That’s because a straightforward funding news story may take 30 minutes to prepare but only get read by about 200 people. We’re a relatively small team and focus our resources on stories our readers are really interested in. There are plenty of other places that cover funding news. We covered something too similar, too recently: “Hi Martin, I saw you wrote about an accounting app so please write about my almost identical accounting app” I can see the logic here but as the cliché/truism goes, variety is the spice of life, and unless your app is markedly better or more unusual than the app we just wrote about, chances are we won’t want to tread the same ground again too soon. Your pitch was too hard to parse: Some startups and PR companies write long emails explaining why the announcement they’re pitching is so amazing. Stick to a short, informative and compelling paragraph or two instead. If it’s 5.30pm and I’m racing through my inbox before I finish work, those long, winding emails are really tough to parse after a long day. Unless I spot something intriguing quickly, I’ll be moving on to the next email. You made basic errors like getting our names wrong: I have actually picked up pitches from people who think I’m Marton Byrant from TechCrunch on occasions, if the meat of the pitch was particularly good. But still, it’s not a good opener and if I decide to pass, I’m less likely to reply to someone who got my name wrong than someone who took the time to get it right. Your pitch was an infographic: Sending an infographic that your content marketer created and expecting any serious publication to run it in return for giving you some SEO juice is soooo 2010. I have infographic blindness now and generally delete any email with ‘infographic’ in the subject line. We didn’t even read it: It’s not just infographics that can go unread. If your pitch looks like an impersonal marketing email, rather than personal correspondence, it’s likely we’ll think ‘Oh someone added us to their mailing list without our permission, we won’t read that,’ and bam – into the bin it goes. I hope that’s gone some way to explaining why we reject or ignore some email pitches. Feel free to ask any questions in the comments.